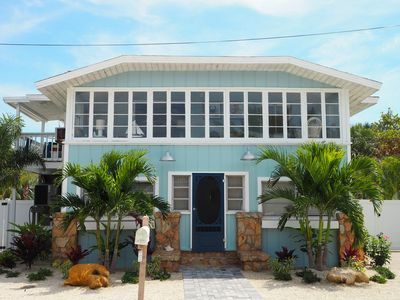 The Blue Dolphin Inn consists of four units surrounding a free style heated pool with fountains and nearby tiki table. 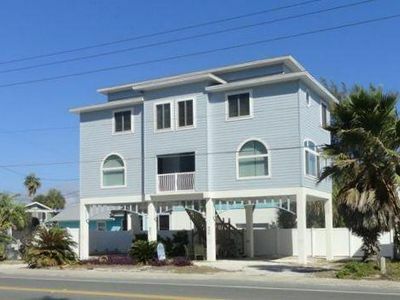 The Blue Dolphin Inn is located about one block from the beach access path and it's just a short stroll to the Rod and Reel Pier for fishing enthusiasts. 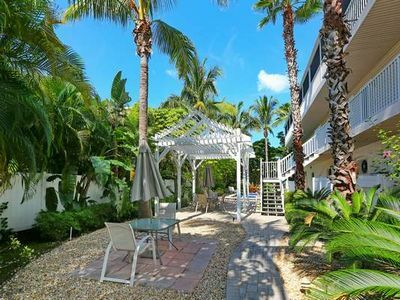 It’s nestled away in a tropical paradise with many exotic plants and gardens. 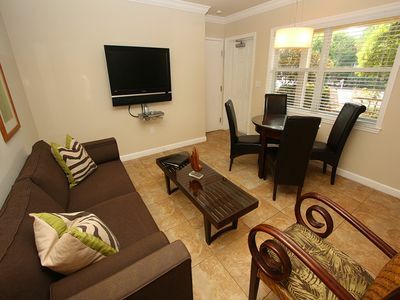 Each of the four units has its own private patio and gas grill for an evening of relaxation. 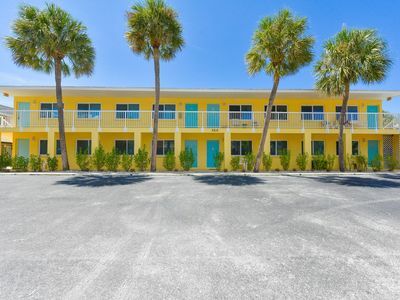 If you want to be the envy of all of your friends, send them photos from the two rooftop observatories located on each building at the Blue Dolphin Inn. 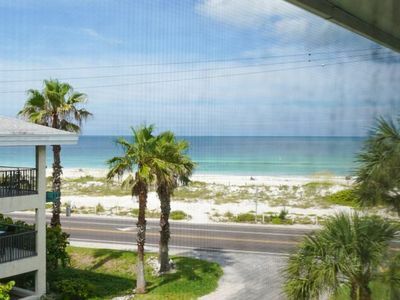 You’ll want to linger there for awhile and take in the panoramic Anna Maria views! Every conceivable amenity is provided for your enjoyment and comfort including wireless high speed internet access with expanded cable and free domestic long distance calling. Parking is limited to three cars. 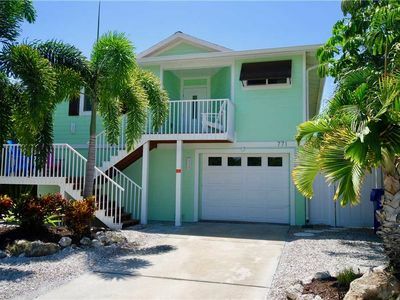 The Flamingo unit at the Blue Dolphin Inn, located at 780 Jacaranda in the Historic Village of Anna Maria is a wonderful and spacious three bedroom, two bath upstairs unit furnished in a tropical theme. 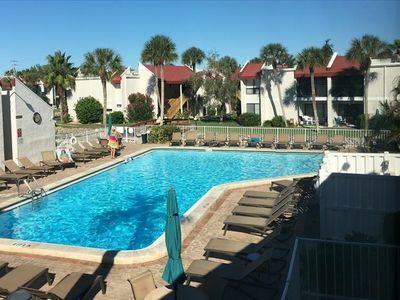 The Blue Dolphin Inn consists of four units surrounding a free style heated pool with fountains and nearby tiki table. 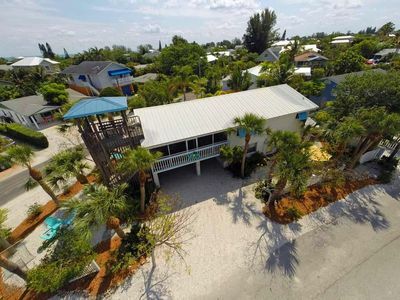 The Blue Dolphin Inn is located about one block from the beach access path and it's just a short stroll to the Rod and Reel Pier for fishing enthusiasts. 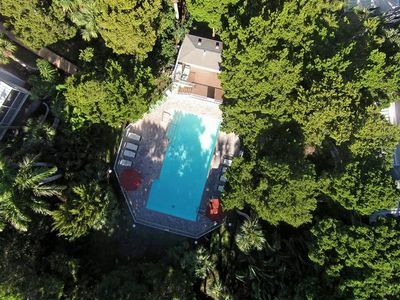 It’s nestled away in a tropical paradise with many exotic plants and gardens. 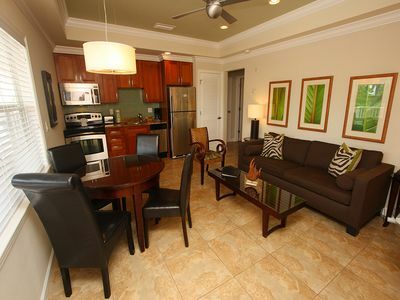 Each of the four units has its own private patio and gas grill for an evening of relaxation. 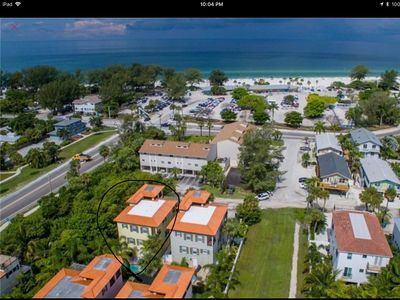 If you want to be the envy of all of your friends, send them photos from the two rooftop observatories located on each building at the Blue Dolphin Inn. 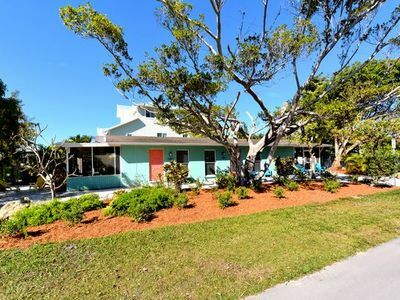 You’ll want to linger there for awhile and take in the panoramic Anna Maria views! 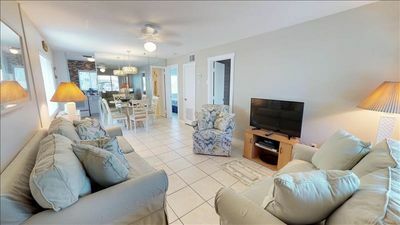 The Flamingo unit features a large screened in porch as well as a private patio area with a charcoal grill specific to this unit. There is also a gas grill at poolside. Many new upgrades to this unit such as new carpet, new paint and all new linens have made it even more comfortable and pleasant. 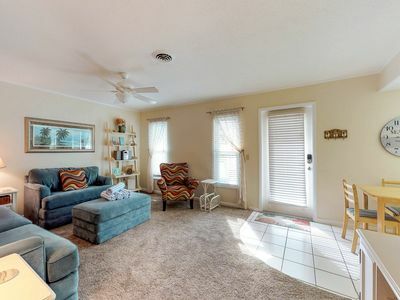 This unit will sleep eight with two queen size beds, two twin beds and a sofa bed. Every conceivable amenity is provided for your enjoyment and comfort including wireless high speed internet access with expanded cable and free domestic long distance calling. 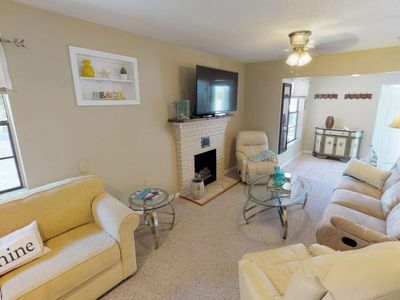 New 32” flat screen televisions in the living room and in all three bedrooms complete the package. There is even a DVD video library for relaxing after a day at the beach or pool. There is a washer and dryer in the unit for your private use. 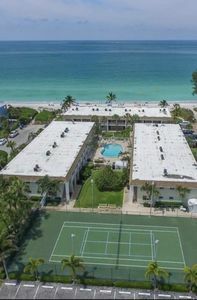 Ocean Front ~ No Streets To Cross! 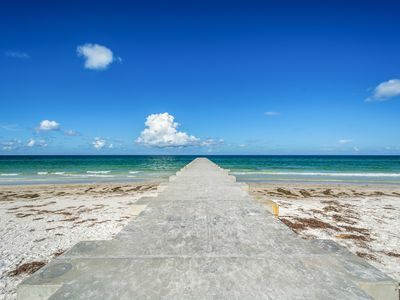 Come And Enjoy A Memorable Beach Vacation! 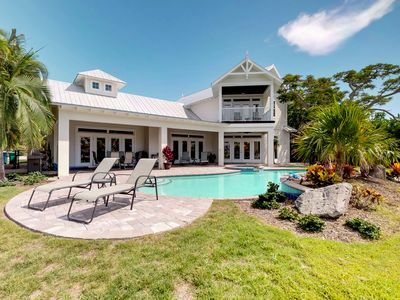 Dog-friendly home with a private spa and pool - waterfront too! Gulf Watch #204 by Duncan Real Estate!